Discussion in 'The Main Square' started by Auspicious, Nov 7, 2010. "How General Yakubu Gowon ran his administration"
Chief Olufemi Lateef Okunnu, was 34 years old when he became federal commissioner for works and housing. In just about seven years, he brought his radicalism to bear on the administration of General Yakubu Gowon. In this two part interview, you will read about the administration of General Gowon and how the cabinet meetings were conducted. For a 33-year old army officer who became Nigeria's head of state, it is interesting that he surrounded himself with, perhaps, the best brains of that era without prejudice to their age. Even in council, the respect between the head of state and his federal commissioners was very mutual. According to Okunnu, "There could be no situation where you could say anybody was cowed from saying his mind. No siege whatsoever. Arguments may be hot atimes. At the end of the day, we were all working towards one goal. Nobody refused to speak his mind. There were hot exchanges. "Chief Awolowo was also old enough to be Gowon's father, so was Alhaji Yahaya Gusau, another old man, federal commissioner for economic development, Aminu Kano, Dr. Arikpo. But there was that mutual respect. Gowon returned our respects". Okunnu says there was one thing about General Gowon which made him unique, the fact that he would sit through the sometimes nine-hour meeting without answering nature's call. On the vexed issue of zoning, Chief Okunnu brings fresh perspective to the matter when he said "I do not believe in zoning because you will be depriving Nigerians of quality and depriving individuals who have what it takes to seek the office of the president. Take General Obasanjo, he comes from the so called South West, it means that for another person from South West to emerge as President of this country, that person may have to start thinking of eight years multiplied by five other zones that's is 40 years and it means nobody else from the South West should bother to aspire if we're to adhere strictly to zoning. But what it also means is that a man from Lagos State would have very little chance of becoming president, may be after 80 years because when it comes to the South West again, the person might be picked from Ekiti State; another 40 years, may be the person from the South West would be picked from Oyo State and you can continue. So you can even multiply the 40 years by the states of each of the zones by the time it keeps coming back". You will find the thoughts of Chief Okunnu very interesting and illuminating. VANGUARD: There has been this talk about years of waste and people refer to the General Yakubu Gowon years. That, even with or without prejudice to the development plans, the fact that the naira or pounds was awash in the land made government indulge in meaningless spending? OKUNNU: That is a wrong conception. VANGUARD: But sorry, you would have heard people say that? OKUNNU: Well, not many, some people did say so and some people still say so but it is a misconception about the achievements or failures of the regime of General Gowon. There wasn't much money available at the time, contrary to the popular belief some people had. We were not talking in terms of billions and trillions as we do now. We were only talking about millions of naira or a few millions of pounds before the change over. Remember that during the war, there was little opportunity any way for development because all efforts were geared towards ending the war so there was little time for development. There was little money also because there wasn't oil boom ad indeed the war affected the exploration of our oil resources because that place was the theatre of war. But that administration tried very well to husband the limited resources. VANGUARD: That cabinet, how was it composed and what significant input did it make pursuant to assisting General Gowon administer the nation? The cabinet had 11 civilians and the 12th civilian who was to represent the East Central State but was absent. The cabinet consisted of leading political figures before independence and after independence. We had leading figures like Chief Obafemi Awolowo, for Finance, Aminu Kano for Communication, J S Tarka, Tony Enahoro, Shetima Ali-Monguno, Shehu Shagari, Dr. Okoi Arikpo, Justice Teslim Elias, Wenike Briggs and the likes. We had such figures who had played major roles in pre and post independent Nigeria and these are people you can not regard as people of waste, these were people of quality who added quality to the government of the time. VANGUARD Yes! Let's talk about the waste? After the civil war, there was a great deal of development and not waste! There was a great deal of planning which led to development. The development plan which was initiated by the government of Alhaji Tafawa Balewa, we saw to the end of it and in 1970, the government launched the four-year development plan from 1970 to 1974. In the area of infrastructure, with all due respects, you will agree that Nigeria had the best ever network of roads during that period, especially from 1970 to 1975; and one of the very best in Africa and when I talk of Africa, I traveled very widely and I saw and visited many capitals of countries in Africa so I offer no apologies to anybody in saying that the network of roads which I left in 1974 was one of the very best in Africa and perhaps anywhere in the world. VANGUARD: Let's go back to the cabinet. In a cabinet where you had an Awolowo, Teslim Elias, Aminu Kano, Shetima Ali-Monguno, J S Tarka and yourself, can you give a typical cabinet meeting how it functioned? OKUNNU: We had a weekly meeting every Wednesday from 10 O'clock and when I mean 10 O'clock I mean 10 O'clock. At one time General Gowon would cause the door to the cabinet room to be locked and anybody who came after 10 would be locked out. VANGUARD : Were there any instances you could recollect of people coming in after 10? OKUNNU : Very, very few instances. You had to try to be there at 10. If you visited me in the office on that day in the morning, you would find me hurrying to get to Dodan Barracks from Race Course because I juts had to be there before 10. Cabinet meetings every Wednesday would start at 10 am prompt with military precision and the meetings lasted some times for more than seven, eight, nine hours. VANGUARD: Gowon chaired the meetings? Yes! He would always chair the meeting as the chairman. He was always available. But the meeting never held in his absence, may be he was out or not around. If he was out on tour, after the war, there would be no cabinet meeting. VANGUARD: Nine hours? No break? How did you people cope? Or would you go for break for an hour and return? OKUNNU : Let me tell you one of the most interesting things about the meetings. One thing I found about General Gowon was that he hardly left his seat to attend to the call of nature well being a young man of 33 at that time, you could understand but it was not easy. We would all sit down there till most times in the evening. We were there till five or even six and on budget days we would be there till night. VANGUARD: And Gowon would not step out? 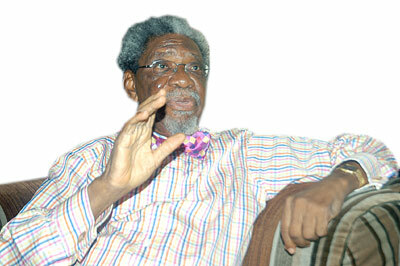 OKUNNU : He would not step out and most of us would be there with rapt attention and deliberating on issues. In attendance were a few permanent secretaries finance, economic development, foreign affairs, just a few of them. But people later criticised them. VANGUARD: Why were they criticized? Were these the people referred to as the Super permanent secretaries? OKUNNU : I think that's correct those were the super permanent secretaries. Some people did criticize some permanent secretaries for being involved in policy making. My own position was that some of them were the chief advisers to General Gowon before the federal commissioners were appointed in May 1967, they were his major advisers and they had some heavy responsibilities on their hands and they were chief advisers to their ministers too. General Gowon made us understand upon our appointment that our responsibilities were no less than the responsibilities of the former ministers of the federation because we'll not only execute government policies but we also made laws for the good and peace of the country in form of decrees once the head of state appended his signature. Each federal commissioner was expected to present an issue by way of memorandum. If I had a contract award to present to cabinet, the preliminaries would have been gone through by the permanent secretary ministry of finance working with some other permanent secretaries. The tenders would go through different stages and make recommendations. The papers would come to me in form of draft memos and I'll go through and if I agree, I'll make a draft memo which will go to the ministry of finance because that is where the money would come from; it would also go to the ministry of economic development to find out whether the project was in the development plan and not an extra project. VANGUARD: Or the product of somebody's brainwave as we have now? OKUNNU: Yes! It must be in the plan and you don't just wake up and dream up one project overnight. They'll certify that and send back to us with the comments of the two ministries, study it and send the final memo to the cabinet office that'll then distribute to the ministries and on specific days when your memo comes on the agenda at the cabinet meeting, it would be discussed. VANGUARD: How many memos does the cabinet meeting handle on average? OKUNNU: Ah! There may be five memos, there may be 10, there may be 15 it all depends. When it comes to your turn, depending on the number of memos, you'll introduce it. Then members would make their comments and if the sense of the meetings agreed with your memo, it would be passed but if the chairman of council, the head of state finds that the sense of the meeting was that your memo should be withdrawn or rejected (not often) or amended, there'll be council conclusions. At the end of consideration of the memos and there was any major national issue, then the chair would raise it but most times everyone would have been exhausted. VANGUARD: It's interesting you went into this detail. I'm sure you've heard about council meetings in this country where a sense of siege pervaded and this was never denied. The man who took over from you as federal commissioner for works and housing, Olusegun Obasanjo, also became first, head of state and later civilian President. Obasanjo's Federal Executive Council meetings were said to be something else. Now, where you had an Awolowo, Kano, Elias, Arikpo, how did Gowon as head of state, younger to the men, conduct himself? OKUNNU: There could be no situation where you could say anybody was cowed from saying his mind. No siege whatsoever. Arguments may be hot atimes. At the end of the day, we were all working towards one goal. Nobody refused to speak his mind. There were hot exchanges and you put your own points across on any matter and I can not remember anybody showing any fear of expressing his mind during the seven years and seven months I spent in the highest organ of government in Nigeria. Let me also say this, Gowon assumed office at age 33. It's not just a question of people being older than him. I was one year and I am still one year older than him. But he was commander-in-chief. Everyone of us gave him that respect. Members of his cabinet consisted of people who were old enough to be his father. Dr. Dikko, the first Nigerian medical doctor from the north, an old boy of Kings College, Lagos Kings College was the first secondary college in the whole of British and in fact, French West Africa. I see you smile, why? VANGUARD: I would get to that later because I've been informed of your relationship with King's College and how you relish it? OKUNNU: Look, Dr. Dikko attended King's College before I was born. He was the 1928 set. I was born in 1933. Chief Awolowo was also old enough to be Gowon's father, so was Alhaji Yahaya Gusau, another old man, federal commissioner for economic development, Aminu Kano, Dr. Arikpo. But there was that mutual respect. Gowon returned our respects. We were always working together for the same goal. VANGUARD: What's about the King's College issue that you find unique? OKUNNU: King's College was founded in 1909 to bring the best out of the boys from different parts of the country. For one thing at King's College, we didn't care where you came from and we didn't even ask. There were some classmates of mine at King's College whom we might know the town they came from but it was after we left school that I knew, for example that Frank Eke, Royal Highness, was not really Igbo but from Diobu; Sonny Joe, came from Port Harcourt but we didn't care where he came from. We learnt about all these after we had left school. What was important was that we were Nigerians. King's College at some point admitted students from other countries. I remember that at some point, the Chef Justice of Togo, Justice Pinto, was an old boy of King's College, if not a class mate but a contemporary of Sir Adetokunbo Ademola. Unlike other schools where you distinguished people by the mother tongue, we had that sense and feeling of brotherhood. VANGUARD: This oneness you keep talking about, was it not a King's College boy, Chukwuemeka Odumegwu Ojukwu, who led the civil war against the Nigerian State? OKUNNU: I know he was a King's College boy and he led the civil war against this country, that was an aberration, as it were but by and large the loyalty of a King's College boy was to Nigeria and even after the war, Ojukwu himself when he was defeated had no choice but to re-affirm his loyalty to the country. VANGUARD: I also learnt that some of the peace parleys had King's College boys on the team on the side of the Federal Government of Nigeria? OKUNNU: Yes, although a King's College boy led the war but for peace talks, you find two or three old boys of King's College boys on the federal side. Even the cabinet had four of us out of 11 members from King's College: There was Weneke Briggs, Tony Enahoro, Dr. Dikko and there was myself. And we had that feeling of Nigerianess. VANGUARD: You talk about Nigerianess but some people would contest that and say since most of you people were in government and today, the consensus is that we've lost it as a nation, where would you trace the genesis of that tragedy? OKUNNU: Good. You know, the old colonial civil service at the upper echelon was peopled by old boys of King's College, the years before independence and immediately after and it had some form of cohesion at the time. The medical services for instance: The first Nigerians medical director, Sir Manuwa, who was succeeded by another Dr. Awoliyi, Dr. Awoliyi was succeeded by another King's College, Dr. Norman Williams, then Dr. Alakija. The first Nigerian medical officer of the Lagos Town Council, Dr. I L Oluwole, a foundation student of King's College. In the judiciary, in the early years of independence, you have the Chief Justice, Sir Adetokunbo Ademola, an old boy of King's College, you had Sir Louis Mbanefo, who was here in the College in the 1930s; Mr. Justice Morgan; mid-western Nigeria had two or three old boys successively. You had Mr. Justice Echeruche. I can continue. They made their marks I know there were distinguished Nigerians from other schools but the spirit of oneness which we imbibed was second to none. We learnt all these and carried them forward in life. Now, the strains which Nigeria went through and which led to the civil war, the causes which we know, these were not the doings of old boys of King's College but the country pulled apart as a result of the wanton killings of Nigerians after the first coup. The unification decree introduced on May 24, 1966, eroding the federal system and which created a great level of anxiety in the land. The North was the most anxious and that led to the unfortunate wanton killings in the North and which led to the July coup and then the civil war. Let me say this at this stage. Many old boys of King's College, then as of now, didn't enter politics. It was not a turf where you find many of the old boys of King's College. If only many of the politicians of this country, many of the political leaders of Nigeria had been products of Kings College you wouldn't have this feeling of disunity among us. We didn't care where other students came from. VANGUARD: However, people have brought in religion and tribe into politics and it appears to be killing this country? OKUNNU: When in the polity there was so much outcry that there was a preponderance of Nigerians of Muslim faith occupying the commanding heights in the country and I look back and I said wait a minute and let's have a look at the composition of the armed forces some time ago and I never thought of the religion of the head of the Navy, Army or Air Force when we sat together at meetings to discuss this country. I never thought of it. So, I was shocked when religion of top military officers became an issue in the public domain and I said Colonel Joe Akahan was the first head of the Army and when he was killed Hassan Katsina became head of the Army, head of the Navy, Admiral Wey while the Air Force was a very close friend and the head of the army some time was General David Ejoor. The head of the Supreme Headquaters was General Wey who moved up from the Navy and was succeeded by another Christian and I said to myself, why should we bother about the head of the military who have their military command and why should we bother about their religion. In my time, the heads of the topmost posts in the military were Christians. VANGUARD: If you could be this perturbed about the issue of religion and politics, how do you feel now that the issue of zoning has become the main issue in this matter of who becomes Nigeria's President? OKUNNU: I don't believe in zoning. Political expediency by one of the political parties in the country thank God it is not part of our constitution can not be foisted on us. I don't believe in zoning. Zoning means this, that the so called six geo-political zones of the country, which to me is a mirage, is an argument between officials at the time of amalgamation whether Nigeria would be divided into two, North and South, or the country should be divided into six. I do not believe in zoning because you will be depriving Nigerians of quality and depriving individuals who have what it takes to seek the office of the president. Take General Obasanjo, he comes from the so called South West, it means that for another person from South West to emerge as President of this country, that person may have to start thinking of eight years multiplied by five other zones that's is 40 years- and it means nobody else from the South West should bother to aspire if we're to adhere strictly to zoning. But what it also means is that a man from Lagos State would have very little chance of becoming president, may be after 80 years because when it comes to the South West again, the person might be picked from Ekiti State; another 40 years, may be the person from the South West would be picked from Oyo State and you can continue. So you can even multiply the 40 years by the states of each of the zones by the time it keeps coming back. So, my question is: Where is the oneness we talk about in this country? VANGUARD: Where is that sense of togetherness? It also means that the inalienable rights of Nigerians to seek any office they are qualified to seek is being trampled upon if you adhere to zoning. I don't care if the whole of an 11-member football team Nigeria is presenting comes from Nnewi, so long as that is the best we have. If you are the best, you are the best. If two successive presidents come from the same town; so long as they are the best with vision, disinterested in ethnic consideration, then I am for them. So long as they are first and foremost Nigerians to the core, then I do not care. Your tribe should only define your culture and not our national politics. It is wrong. It is wrong because we have had all manner of characters rule this country. The dream was to see Nigeria as the best in Africa and not just in population alone. Our dream was of a Nigeria that would be one of the leading countries in the world. That was one of the things we fought for. We've been going up and down and achieving less. If we have people who are loyal to the country, who believe in the oneness of this country, who have brains and when I say brains, I mean people who have plans, economic, agriculture and all that and not these people who rely solely on petroleum products. VANGUARD: You talked about agriculture, you remember the story of the palm kernel? You can't tell me that story. Our leaders have killed agriculture. Let me tell you, Nigeria used to be number one in palm kernel, palm oil production in the world. Nigeria was number three in the world in terms of cocoa production only Brazil and Ghana produced more than Nigerian up till the 60s and early 1970s. Nigeria was also doing well in cotton, rubber and groundnut production. VANGUARD: You said our leaders killed agriculture! But what actually went wrong with.? OKUNNU: (Cuts in) What went wrong was that our political leaders abandoned agriculture. We killed it. We don't produce and people are not encouraged to produce these products. Palm oil which we all consume in Nigeria we were number one. Malaysia which came to Nigeria in the mid 1960s to buy seedlings to experiment whether they would grow in Malaysia or not is now a leading producer from where we now buy. Ghana also came but it didn't grow in Ghana. It is Malaysians oil that we consume in Nigeria now. It is not just the federal government alone because it is more a concern of the states. VANGUARD: There is no way it would not sound strange that since the 1970s when roads were built in this country, nothing worthwhile has been done again. Even maintenance of the roads built in those days are not done? OKUNNU: Very few new roads were built. Most of the roads you see in the different parts of the country were roads constructed in my time Gowon's period. Mention the road in the country. I met two North/South roads: Port Harcourt Enugu; Oturkpo/Makurdi to Jos, Jos to Kano. The other North/South was Lagos/Ibadan/Jebba/Kontagora/Kano to Daura. I added, during Gowon's period, Calabar/Yola, to Maiduguri and also Warri/Benin, Kotonkarfi/Abuja to Kaduna up North. East/West or West/East, like for example, Abeokuta/Sagamu to Ore, Benin to Asaba, Onitsha, Enugu down to the Cameroun's border and similar from the west up to the North. Most of these roads, if you remember, by the time I left government in December 1974, either the roads have been reconstructed to international standards. By the time I left either the reconstruction was going on or reconstruction was about to start or new roads were being constructed. How many kilometers of roads did you meet when you took over? I met just a little over 6000 kilometres of roads.